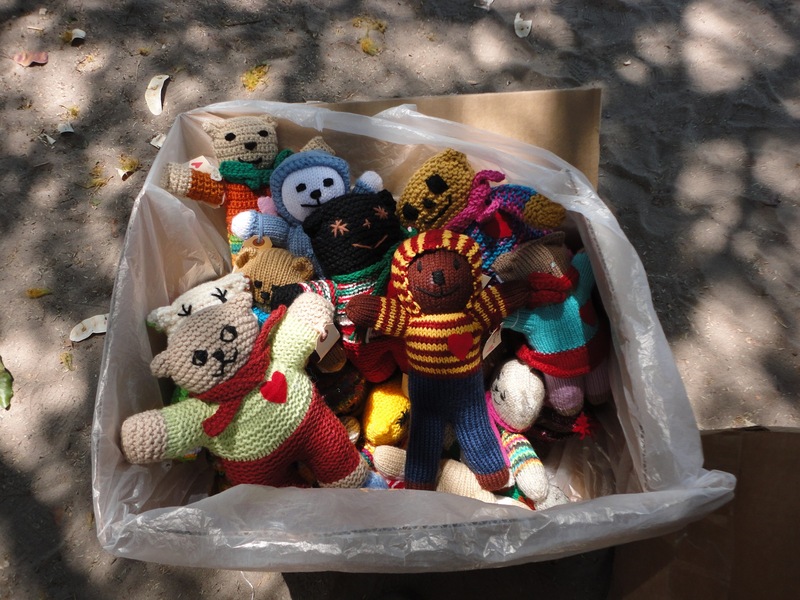 Did I mention that my knitting friend travelled to Africa with the founder of the Mother Bear Project to distribute bears??!! 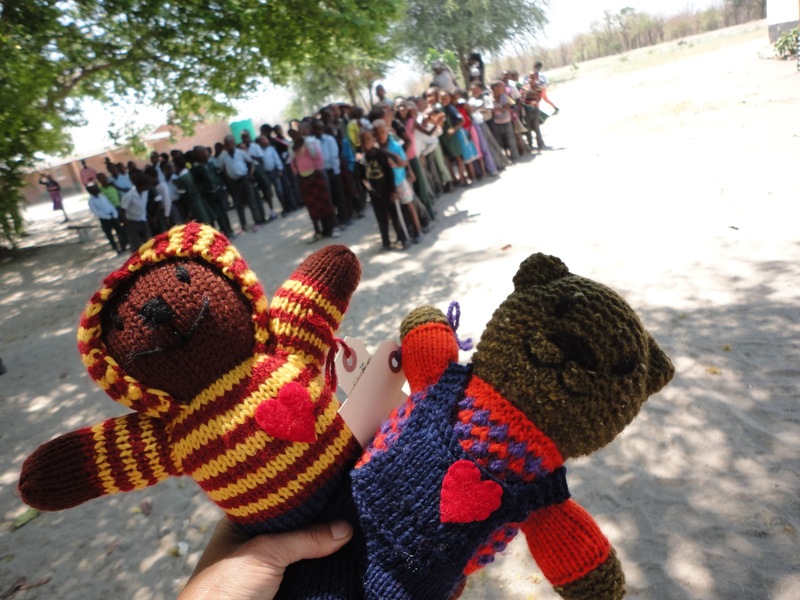 I got a few sneak peeks of our bears, just about to be given to their new owners! Most of the photos won’t be revealed until later this month, so I’m lucky to be able to share these with you! 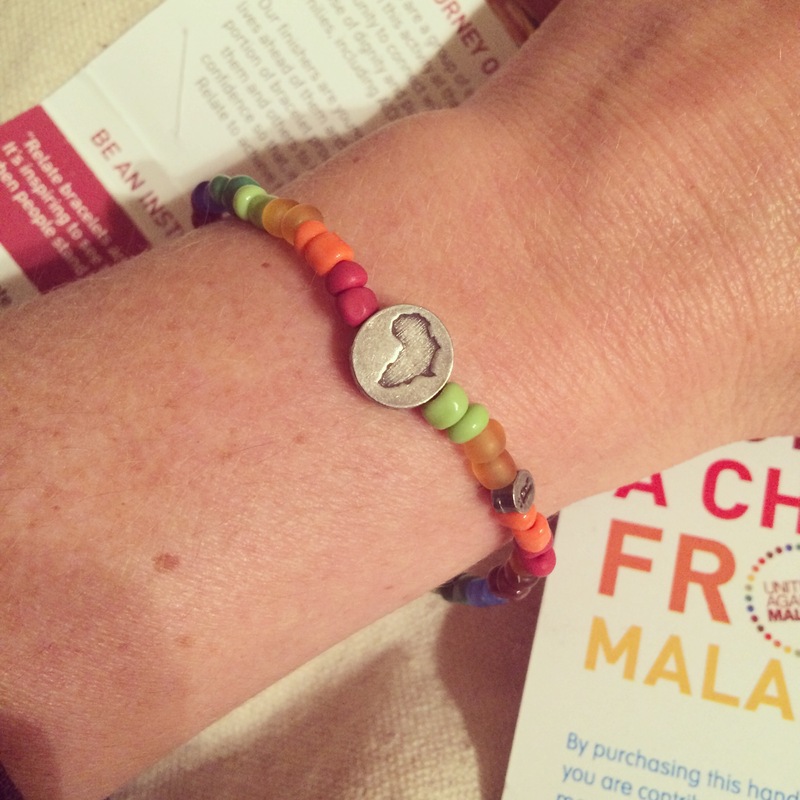 My kids and I also received a few awesome souvenirs- I love my bracelet- it was made by an organization called Relate, which looks really cool, and supports different causes; in this case, the proceeds go towards mosquito nets and malaria treatments. The beading is done by elderly people, most of whom support their entire families (including grandchildren orphaned by AIDS), and the finishing is done by young people who gain skills and confidence to move toward their career goals. This is probably among the top socially-conscience gifts I’ve ever received, and I love it! I can’t wait to see more photos of the bears in Africa, and share them with you!